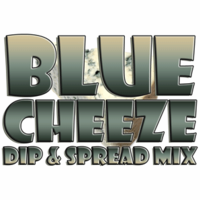 Bleu Cheese Dip Mix & Salad Dressing Mix by All Mixed Up, Ltd. Description: Mild blue cheese blended with onion, garlic, Worcestershire sauce, and select spices make a classic blue cheese salad dressing or dip. Vegetarian. Made from scratch, in small batches, from our own original recipe in Ohio. Abbreviated Ingredients: Blue cheese powder, garlic salt, onion, spices, Worcestershire sauce powder. Contains milk, wheat, soy, sulfites. Packaged in a facility that packages wheat, milk, soy, egg, peanuts, and tree nuts.